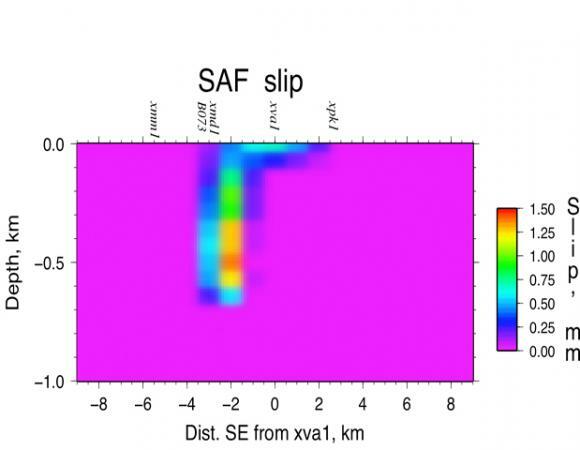 On August 17, 2008, a creep event was recorded along the Parkfield segment of the San Andreas Fault. PBO strainmeter B073 recorded a 50 nanostrain shear strain transient over 30 minutes while a USGS creepmeter in the area, xva1, recorded 1.5 mm of right lateral slip. Small creep events of this kind are believed to release some of the strain accumulated along this section of the San Andreas, which is the transition zone between the creeping section north of Parkfield and the locked section south of Cholame. John Langbein, USGS Menlo Park, has combined strainmeter data with creepmeter and continuous GPS data to model the subsurface slip. 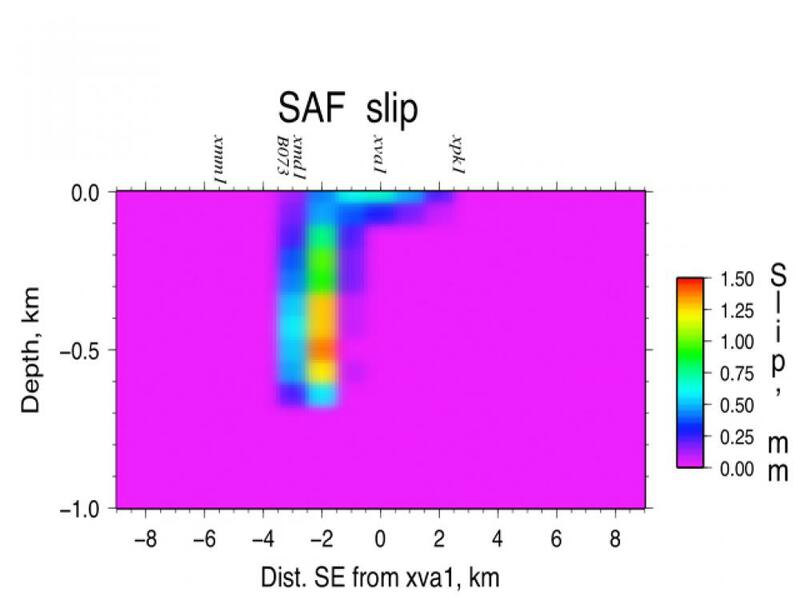 His modeling suggests that the maximum depth of the slip was about 0.75 km.